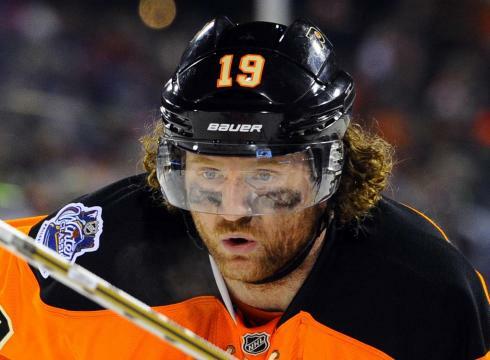 Another Flyer is headed overseas to play during the NHL lockout. According to Broad Street Hockey, Scott Hartnell is going to the SM-liiga to play for KalPa, a team in which he is a minority owner. Hartnell, along with current Flyers defenseman Kimmo Timonen and former Flyers forward Sami Kapanen, is a part owner of KalPa, which participates in Finland’s top professional hockey league, SM-liiga. Hartnell signed a six year, $28.5 million extension with the Flyers in August and will pay roughly $52,000 per month in insurance to play for KalPa. He is expected to join the team on November 15th if there is no new CBA in place between the NHL and NHLPA. Hartnell is coming off of his best season in the NHL in which he scored 37 goals, tallied 30 assists for 67 points while playing in all 82 games. He will be entering his sixth season with the Flyers after coming over in a trade from Nashville in 2007.